New technique by Dr. Sanusi Umar, the Single Follicle Extraction & Transfer (SFET) procedure uses Follicular Unit Extraction (FUE) to harvest donor hair from the head, beard and body. 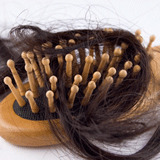 As technology has advanced, dealing with hair loss has become much easier. Hair Restoration is no longer restricted to prescription medication, hair plugs or the traditional linear transplant. New options which are based off the Follicular Unit Extraction (FUE) technique promise a natural looking hair transplant with less visible scarring and now, donor hair may be successfully transplanted from other parts of the body, not just the head. According to Los Angeles hair restoration provider Dr. Sanusi Umar, "Traditionally, hair transplants entail the transfer of hair from the back and the sides of the head, where patients typically don't experience hair loss. Until recently, a strip of flesh was removed from the back and sides of the head which was then sewn up, leaving a scar from one side of the back of the head to the other." With Dr. Umar's new technique, this scarring is no longer so obvious and easily camouflaged with new hair growth. "The method I practice removes hair individually from the donor site and what is left behind are hundreds of tiny individual wounds in the wake of the extraction," says Dr. Umar about his revolutionary Single Follicle Extraction & Transfer (SFET) procedure which uses the Follicular Unit Extraction (FUE) technique, "Because of the minute size, the wounds heal and the the result is a hair transfer with no linear scar." FUE is a surgical technique which is also used in the NeoGraft device, that removes groupings of hair follicles from a donor site, traditionally the sides and back of the head. The technique is considered minimally invasive and performed without a scalpel. What makes Dr. Umar's procedure, the Single Follicle Extraction & Transfer (SFET) unique is as a more advanced form of FUE, micro surgical techniques are used to harvest each hair unit one at a time and donor hair is not just limited to head hair. Ideal for patients who are extremely bald or do not have sufficient donor hair on the head, the SFET can restore hair on the head using hair from the body. Dr. Umar says, "Outside of the head, the beard is generally the most common area that we take hair from. In some patients, dependent on the need, we may have to take hair from the chest as well." Dr. Umar stresses the importance of going to an experienced hair restoration surgeon, one who is skilled in the nuances of different types of body hair. Studies have shown that hair transplanted from other parts of the body still retain their inherent characteristics, whether it is texture, curliness, or length. A skilled physician will take all these factors into consideration when planning for the best results for his patients. "The doctor who performs this particular hair transplant must be experienced and understand how to use the innate quality of the non-head hair," states Dr. Umar, "For instance, in the hairline where there is finer hair, donor hair that is soft in it's natural location is necessary to simulate that natural soft look. In areas where you want density and thickness, beard hair is quite good for that because it is typically very thick in patients in it's original location. The more blending you do, the less it will stand out." An ideal patient is somebody who is losing their hair through typical pattern baldness. Age also plays a factor in determining who is a candidate for hair restoration as the pattern of baldness or the trending of the pattern of baldness is quite clear at age 35 and above. The SFET procedure is performed under local anesthesia, typically lidocaine, which is the anesthetic used at the dentist. Most patients remain awake during the implantation process. According to Dr. Umar, the traditional FUE procedure is a time consuming procedure but in comparison to the NeoGraft, his SFET procedure requires less time and may be performed quicker. In regards to when patients can expect to see final results, Dr. Umar says, "It takes about 10 months in most cases. But between 12 and 18 months after the transplant, patients may continue to see improvement so we typically tell patients 18 months for their final outcome."